Within the first day of Feldman’s presidency, temperatures plummeted over 30 degrees, freezing Rochester even deeper than the tunnels beneath the buildings. Even when the weather gets bad (which it will—we all know Rochester’s snow is just waiting to wreak havoc), find new ways to appreciate your environment. The University's responses to the Gale House flooding and the recent snowstorm disappoint. With the snow from last week’s record snowstorm melting away, angered students are left to wonder—what happens next? 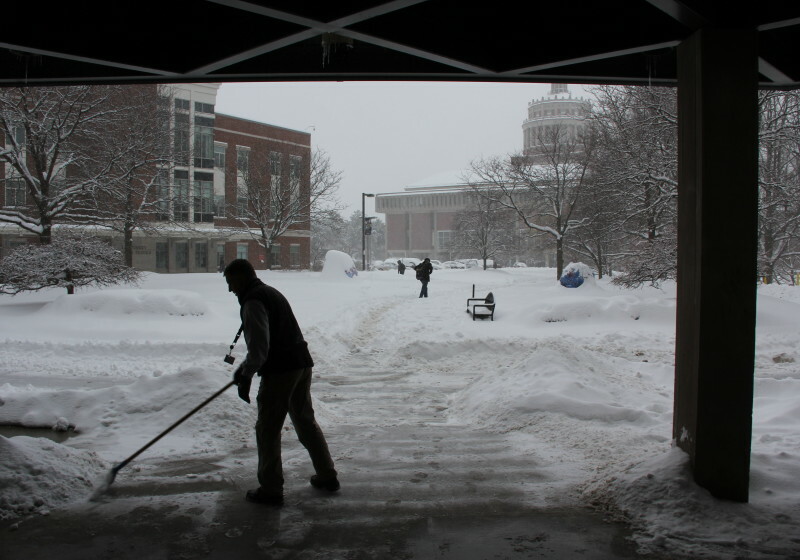 A record Rochester snowfall, travel warnings from Monroe County, school closings from seven neighboring institutions—and UR did not cancel undergraduate classes Tuesday.